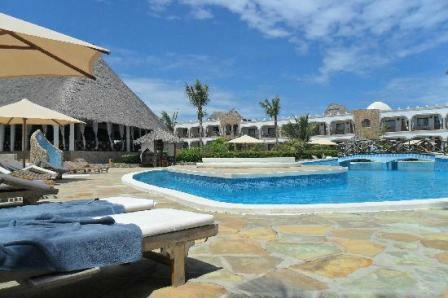 Bahari Hotel in Lamu Town Kenya is a very cosy place in a very good location in Lamu. The owner tries his best. I advice breakfast (optional) - a good piece of fruit, coffee and egg meal (omelette, scrambled etc.). Rooms very nice, with interesting, traditional beds with moskito nets and a fan. A big terrace with unused potential. Except for donkeys - a quiet place. Generally speaking a great place for us, backpakers and budget travellers.